ANNULAR TUBE OVEN MODEL CTA. The Saturno CTA oven exactly reproduces the type of bake provided by a traditional rotary oven. The annular tube system makes this the perfect oven to bake any kind of artisan bread, or any other speciality of bread or pastries. Annular Tube Oven bakes via refractory floor base, or on trays via radiant heat. The strength of the Saturno CTA is the high quality crust and bread base. Better dough integrity and stability without any loss of volume after baking. Perfect steam control in each baking chamber with twin steam system. The burner is located in the rear part of the oven and works with any fuel, be that oil, gas or biomass. Because of its solid build, it requires no maintenance, as breakdowns are virtually non-existent. 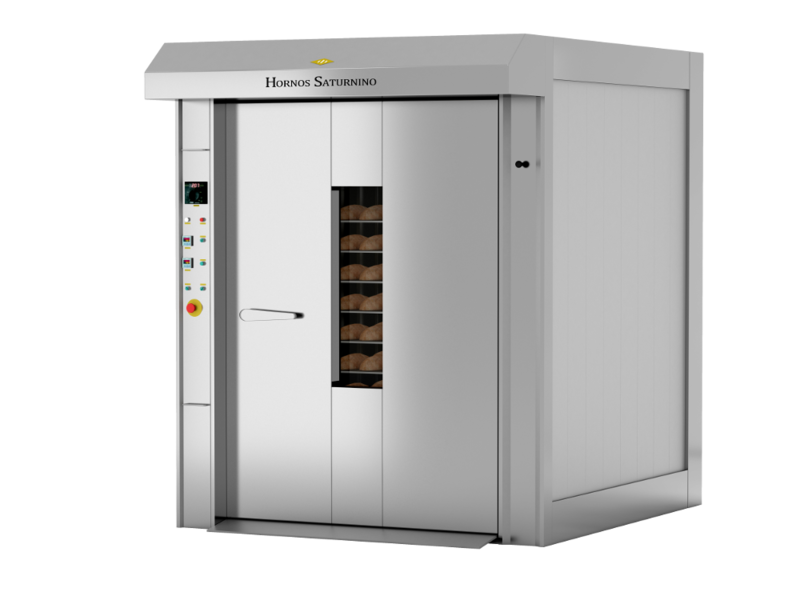 Depending on the products to be baked, it can be built with 5 or 7 decks of two different width openings, of 1.000 or 1.200. (measurements in mm). Different sizes of floors, 1.300, 1.600 and 2.000. (measurements in mm).